When quality counts and she’s the best, Hanadama understands your dilemma. The 7.5” length gives that little extra to go around. 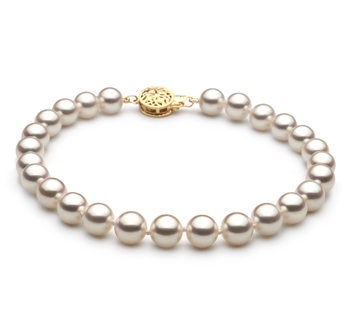 The 6.5-7mm small pearls take the AAAA shape and luster to the levels they deserve and are graded. The perfected sphere and dazzling sheer of the pearl is the shape and luster of the Japanese Akoya’s AAAA Quality.